Not all watches are wristwatches. The not-so-humble pocket watch has returned. Once a 19th century status-symbol, pocket watches have always been about much more than telling the time. 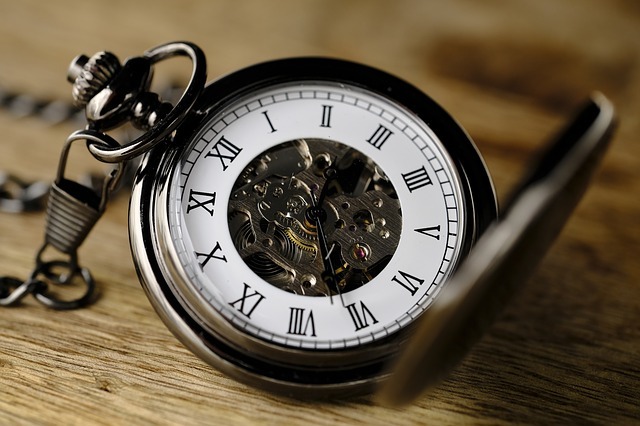 Once, Victorian gentlemen would display their pocket watch for all to see, letting everyone know that they were wealthy enough to afford a personal time-piece. Today’s pocket watch wearers are often more experimental. While pocket watches look great as part of an elegant, vintage look, they can be the centrepiece of a much more modern or unusual outfit. Pocket watches are designed to be carried in a pocket, usually with a chain that attaches to clothes. Historically, they’re worn with a waistcoat, and traditional waistcoats had a watch loop and pocket. They can also be worn attached to trousers, skirts, and jackets. The key thing to remember when working out how and where to attach your watch is that you need a secure pocket and something to attach the watch to. The waistcoat option is often the best place to start for those new to pocket watches. Waistcoats are designed to work perfectly with pocket watches so they won’t get in your way or feel intrusive. They also give you plenty of options for dressing up and down. Go for the classic three-piece suit, or keep it modern by pairing a waistcoat with jeans. Wearing a pocket watch in a jacket, coat or blazer can be an easy way to mix vintage and modern style. They can work well in the breast pocket of a standard suit jacket, allowing you to add a touch of personality to your work wardrobe. Alternatively, try a pocket watch with a fitted blazer and jeans for a more dressed-down look that makes a real feature of the watch and chain. This can work particularly well for women and doesn’t need to be paired with a shirt – a fitted top underneath the blazer can make for a really eye-catching look. Ever wondered what that little pocket-in-a-pocket at the front of your jeans is for? This is a fob pocket, designed to carry a watch which can be attached to a belt loop. If you want to wear a pocket watch with trousers or a skirt, you’ll need one of these pockets to keep the watch safe. This is a great look for those who want a more modern feel, or for summer when you don’t want to wear a jacket. Pocket watches are often associated with a vintage or classic look. But if that’s not you, there are as many ways to wear a pocket watch as there are people who wear them. Think of a pocket watch as a statement piece that you can dress up or down around. For an understated, accessible look, you could go for jeans, a white casual shirt, brogues and a tweed waistcoat. If flamboyance is more your thing, go for bright colours and experimental shapes that accentuate the watch. The choice is yours to enjoy.